I am currently typing away at a hairdresser in Tarragona, in Spain, while my wife receives a pre-wedding facial. That is the reason for our presence in Spain. Our families will soon descend on a tiny village in the mountains of Catalonia, from South Africa and Japan. This background information is my partial justification for writing about that iconic city located nearby my current location, and likely well known to you the reader, at least in name: Barcelona. Through my work on local governments and biodiversity through ICLEI’s Local Action for Biodiversity (LAB) Programme, I have had a long history of contact with Barcelona biodiversity officials. Due to my sister’s residence in nearby Tarragona I have also had the fortunate occasion to visit several times. More recently, through the Global Partnership on Local and Subnational Action for Biodiversity, I have also been able to glimpse the workings of the Autonomous Region of Catalonia, the subnational government that contains both cities. Despite having travelled fairly extensively over the past few years, I have been unusually impressed by the way Barcelona works in terms of biodiversity management. That’s the other justification for writing about this city. Barcelona is an example of a city that blossomed as a result of a major event—the 1992 Summer Olympic Games, which it was selected to host after losing out to Berlin back in 1936. An Indian colleague of mine remembers visiting it as a little city on the Mediterranean when he attended the Games, and was astonished at its growth when he visited again in 2013. Indeed it is one of Europe’s few cities with a population of over 1 million people. The size and the rate of growth of Barcelona place unique challenges on it, comparable in some ways to those of developing countries. Nevertheless, biodiversity management seems to have grown in status rather than shrunken. Biodiversity colleagues of mine from the City have received pay cuts as a result of the financial crisis that has hit this country so much harder than others, but they remain optimistic, proactive and innovative. What I find fascinating about Barcelona is the way in which its history seems to have affected its present. It is the capital of the quite fiercely independent Catalonia and that must define it to some extent. But it is its spirit of creativity that sets Barcelona apart from almost any other city I know. 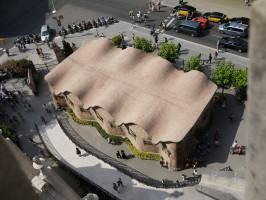 That spirit is virtually synonymous with the name of artist/architect Antoni Gaudi, although his contemporaries, such as Montaner, probably deserve more than the mention I am able to afford them here. Gaudi is best known for his design of the phenomenal Sagrada Familia, a structure still under construction a hundred years after the first brick was laid and paid for entirely through donations, and various other sites around this city. It is fairly well known that Gaudi drew much of his inspiration from nature, which was one of his great passions in life, and this is clearly evident in his works. The spiral of a snail’s shell, the undulations of a leaf, the distinctive shape of tree trunks, these and many other natural phenomena were used to great effect in his work for the purposes of aesthetics, function, and, as he put it, “joy”. Some of his greatest inspirations, apparently, came from the great outdoors such as visits to the caves of Mallorca and Collbató, and the Prades Mountains. He used to say that there is no better structure than the trunk of a tree or a human skeleton. These forms are at the same time functional and aesthetic, and Gaudí discovered how to adapt the language of nature to the structural forms of architecture. Gaudi is responsible for a plethora of Barcelona’s major tourist attractions and local pride. It puzzles me, therefore, that his work has not been more widely and thoroughly emulated because it is so wonderfully elegant; so practical. Not only his emulations of nature in design, but the aesthetic effects he achieved by, for example, darkening the color of the tiles on the upper walls of Casa Batllo to balance the dimmer light low down; the many ventilation systems that he built into his works. This history blends into, and complements, Barcelona’s modern biodiversity efforts. Park Güell is one conspicuous example—visited for Gaudi’s architectural spectacles but a park nevertheless, with more greenery than concrete. Another is the Sagrada Familia itself which, when last I spoke to Barcelona colleagues about it, was home to one of the few pairs of peregrine falcons that the city’s biodiversity staff are trying to preserve. 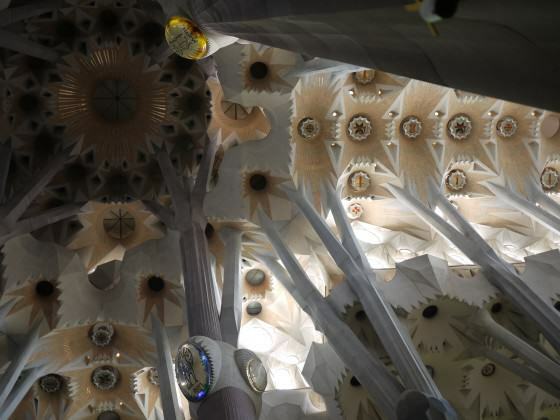 In another sense, Gaudi’s creative spirit may have contributed to some of the many biodiversity initiatives that the City continues to implement, despite hard financial times and a change in local government’s ruling party. Most recently, Barcelona has produced a “Green Infrastructure and Biodiversity Plan”, which strategically focuses on the ways in which biodiversity and development can coexist. What might sound insignificant, but what I consider the most important part of this plan, is the way it is presented—more illustrations than text, and with artists’ and architects’ impressions of what certain parts of the city could be like if they were greener. It is one of the few documents of its type that I know, which draws the reader in asks for the page to be turned. The term “green infrastructure” is used in the document to refer to a life support system that carries out the vital role of enhancing the operation of a city and that of other infrastructure. “The network”, as explained in the Plan, “of public and private areas with natural, agricultural and landscaped vegetation provides a host of ecological, environmental, social and even economic services.” As with an increasing number of other such plans in other forward-thinking cities, there is a strong focus on how these services benefit the City and its citizens. Considerable attention was paid to the benefits provided by different sites, depending on their characteristics (for example, a private garden or a forested area). Although City biodiversity staff admit there is room for improvement, as demonstrated by the lack of green in many of the plazas that dot the city, and indeed others in Catalonia and Andalusia (the only two parts of Spain that I have visited), a major focus of the green infrastructure idea is to complement existing infrastructure with green elements such as the tree-lined streets that connect these plazas. That itself is a product of cultural heritage but one that biodiversity staff in the city are seeking to re-direct. It is an inspiring read, even if one does not go through the text. It is not certain to what extent the Gaudi legacy affects the biodiversity planning of Barcelona. But biodiversity planners in the city certainly seem proud to be associated with him through their mutual home. 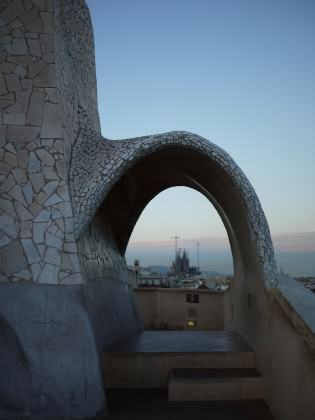 It would also be wrong to credit a city’s uniqueness and importance to one person, but Gaudi was one of those special individuals who set a shining example for others to follow. It is often said that case studies are an important way of guiding best practice. I agree, but I also think there is much that can be done to improve the way in which these case studies can be shared—beginning with design of the way they are presented. This is one of the focuses of my work—and that of many other contributors to this form: to enable examples to be set internationally and locally. Barcelona is an eye-opening showcase of design innovation, and a model both for how a person can influence a city, and the potential that a city has to influence other cities. Excellent post! It got to me through some friends who are architects, currently working in US. In fact, Barcelona’s modernist architecture goes quite beyond Gaudí. His colleagues and disciples also left many other impressively beautiful buildings. Just as an example, check the Palau Baró de Quadras, the former headquarters of Casa Asia in Barcelona – http://sinalunya.com/2011/09/20/a-visit-to-the-headquarters-of-casa-asia-in-barcelona/. Enjoy! My opinion: Yes, there is very often a disconnect but there are also many rays of light shining through the clouds. I think that success in our arena is going to depend on multiple approaches and subsequent (continuous) sorting of the wheat from the chaff, as in all fields of “human endeavor”. One very important aspect of Gaudi’s work, and of any representation of nature in the city, is the effect of reminding citizens of the natural world. This is not trivial, as has been pointed out in literature on “conservation psychology”, in maintaining the link with nature so lacking in many urban environments and thereby maintaining a sense of its importance. Good luck with your work, and I hope that you manage to help move things forward. Hi Mike and thanks for your response. I hope you do manage to get to Barcelona again soon and I would be happy to put you in contact with some colleagues if you contact me at [email protected] with specifics. Regarding your observations about Barcelona: I agree that there is a lot of concrete and the Ramblas itself did not impress me (although it would be a lot less pleasant without the trees). The same can be said for many of the squares, as mentioned in my post which, although indicated in green in many online mapping apps/programmes, are anything but. This is apparently something that the City are looking to change. I suspect they’ll need to do it strategically and subtly, and in a way that does not appear to infringe on the cultural heritage represented by many of them – or on the way in which these spaces accommodate large numbers of people. http://w110.bcn.cat/MediAmbient/Continguts/Documents/Documentacio/BCN2020_GreenInfraestructureBiodiversityPlan.pdf. Have a look to get a glimpse of what they have planned. Regarding Richard Forman’s influence: I hadn’t thought of that but I suspect you’re right. He was keynote speaker at a small meeting I attended in Barcelona last year, on invitation of Catalonia, and he’s certainly respected int he area. I appreciate the wonderful and genius work of Antoni Gaudi, he is one of my reference points as an artist and designer and love all his beautifully inspired designs. However we must recognize the difference between representations of nature and its workings. As an artist I am fully engaged in studying and coming to terms with natural surroundings, for example I publish a nature journal based on the animals that live on my property in Illinois and donate time to restoration efforts of our natural areas. My training was in the arts and landscape architecture and for the last decade I have dedicated my time and energy to designs that transform the urban core to natural systems. I have arrived at what I term a Bioshaft Design Approach and believe that the transformation of buildings and architectural structures including transit infrastructure can be made to function as biotic systems. I don’t mean, green walls, green roofs and LEED criteria, these are good but I see too many limitations in their current state. I won’t go into the details here, for those interested please follow my blog posted above. What is needed is to go beyond the anthropocentric realm we seem to be stuck in and design for the whole biotic community. As much as I love the way Barcelona has embraced the creation of meaningful urban spaces there is still a disconnect with the natural processes. I am not familiar with all those that are operating in the arena so I can only wish everyone well and hope that a truly sustainable urban design that respects and acts as the processes of nature will arise. I enjoyed your article very much. 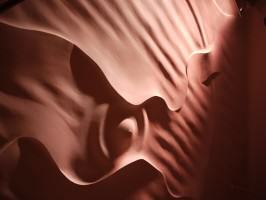 Thanks for your observations on Barcelona and Gaudi’s influence. I had the great pleasure to spend two wonderful weeks in Barcelona over Christmas and New Years in 2003-2004 on break from my Loeb Fellowship. I was particularly interested in visiting Barcelona because urban planners here in Portland, Oregon continually referenced Las Ramblas, arguing Portland should emulate more in our own urban design. We had many wonderful walks along the Ramblas. I was blown away by the Sagrada and took hundreds of photos, all of which I unintentionally erased from my newly acquired camera. Therefore, I have put Barcelona on my itinerary as a side-trip to France this coming September. 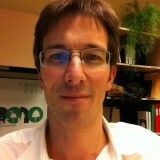 I will want to hook up with your contacts on the biodiversity and green infrastructure community in Barcelona. I have to say, while I was stunned by Gaudi’s architecture and particularly with his integration of nature into the design, including formaniferans, trees, etc., I was less impressed with Barcelona from a biodiversity and green infrastructure perspective. I look forward to seeing the city with new eyes, ten years after our winter time visit. I do remember Parc Guell fondly, it was more for the bizarre, fantasical mosaics and architecture than it’s being a particularly “green park.” As for the Las Ramblas, while there were trees lining the paseo, it and the rest of Barcelona was virtually all hardscaped. One had to search out any green within the city. Perhaps it’s been greened up since 2003. I’ve got a couple of images I took from the Sagrada of the city scape that demonstrates the lack of green within the city I’ll pass along to David. While at Harvard’s GSD I was fortunate to converse with Dr. Richard Forman about his research in Barcelona, which is described as a case study in his book, “Urban Regions: Ecology and Planning Beyond the City” (Cambridge University Press, 2008). But his biodiversity work focused outside the city into the rural hinterlands. I’m wondering if his work inspired a the biodiversity and green infrastructure initiative to which you refer? Your contribution comes in time for me to start making connections in Barcelona. I look forward to communicating off line and setting up some visits while there in September. 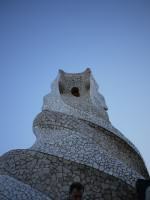 Thanks for evoking memories of a truly wonderful city and of Gaudi’s beautiful and inspiring architecture. 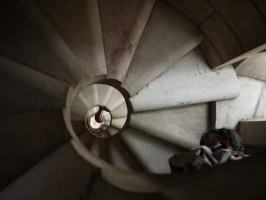 I cannot wait to get back those lost images of the Sagrada!